Was Your Arm or Shoulder Injured in a Car Accident? There is an awful, frustrating feeling that comes when you try to use your arm for an everyday task and you are stopped short by splitting pain or a lack of mobility. If your arm or shoulder has been hurt in an accident, you may know this feeling all too well. When your daily life is interrupted like this, you may have a serious injury. 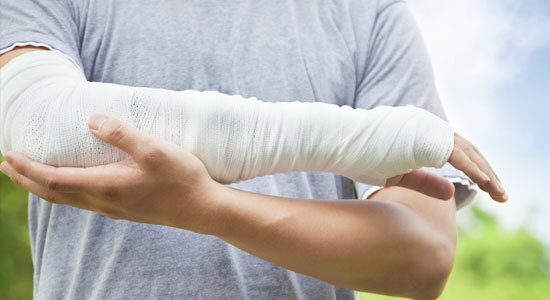 Whether you have a broken bone, a torn rotator cuff, wounds from glass and debris, burns, or any other kind of arm or shoulder injury, Edgar Snyder & Associates can help. It's not just the pain that hurts you, it's other burdens like medical bills and insurance paperwork, too. Trust our highly rated law firm to help you when you feel hopeless—you may have a car accident case. Since 1982, our experienced attorneys have helped thousands of people injured in car accidents. We investigate the scene of the auto accident. We gather evidence and details that build the value of your case. We protect your rights as a car accident victim. Can't travel to us? We'll come to you. And remember, you won't owe us anything unless we win your case, so you have nothing to lose.